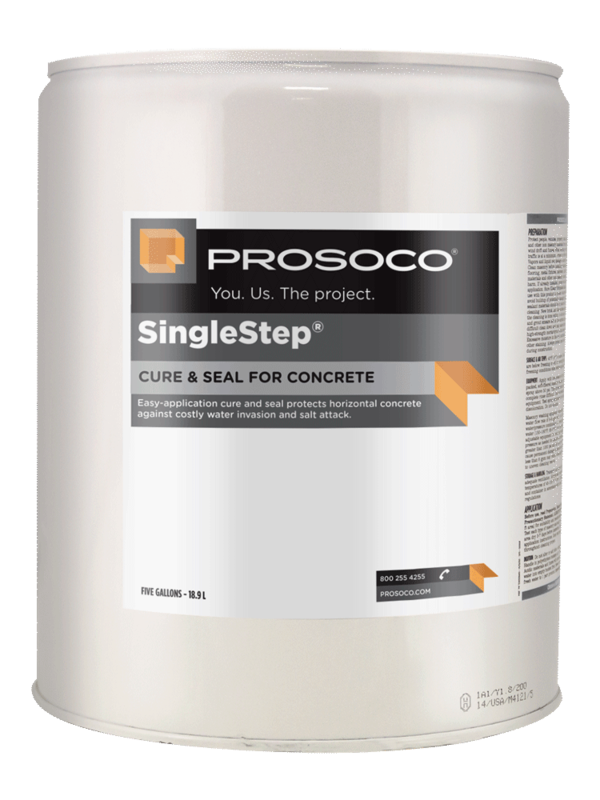 SingleStep is an acrylic-silicone blend for curing and weatherproofing new and existing concrete in one easy step. SingleStep quickly penetrates to form a water-repellent gel in the pores and a semi-glossy film on the surface. This film helps keep concrete moist until it reaches maximum hardness. The cured concrete resists damaging water penetration, salts, de-icers and acids. Quick-curing SingleStep beads water after 24 hours. Keeps harmful de-icing salts out of concrete. Quickly develops water repellency and chemical resistance. 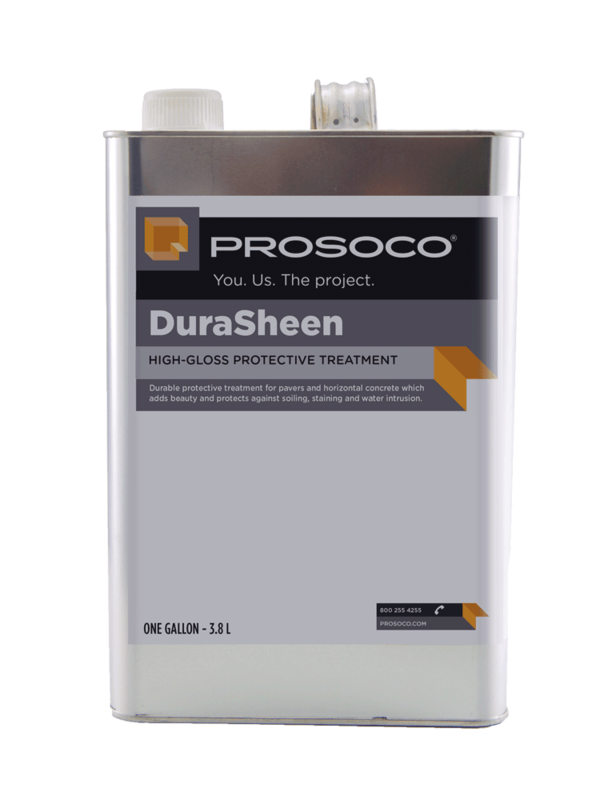 Prevents loss of siloxane ingredients due to evaporation. COVERAGE RATE300 - 600 sq ft/gal. See Product Data Sheet for variations per coat. SingleStep offers a fast, easy, effective alternative to curing compounds that require costly, time-consuming water curing and removal. It’s ideal for parking garages, athletic stadiums, engineered concrete structures and decorative concrete. SingleStep meets Type I, Class A requirements of ASTM C 1315, as they relate to physical characteristics including clarity, solids content, flash point and shelf life. SingleStep also meets Type I, Class A requirements of ASTM C 1315 as they relate to product performance, including rapid drying, uniform defect-free coating and resistance to accelerated weathering.